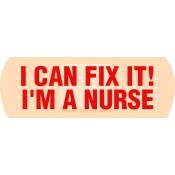 Nurse fridge magnets are perfect for nurses who are trying to improve their credibility and public accessibility. These promotional healthcare magnets are available in various shapes, sizes and budget ranges thereby largely making it affordable for all small and big practices. These refrigerator magnets are sure to grab a potential slot on a refrigerator door because nurses are always an undeniable part of the healthcare chain. 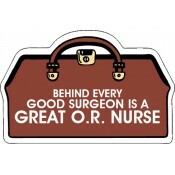 Perfect for mass distribution throughout the year because once a nurse is always a nurse! A nurse serves as a point of contact between doctors and patients in the healthcare hierarchy. They offer relentless service and deserve high respect. Good nurses are always an asset to the community and the hospital because they understand the needs of the patients. It is seen that most people prefer approaching nurses for immediate medical consultation rather than going to the doctor. Capitalizing on their professional experience and healthcare information, nurses can easily market their services through customized nurse refrigerator magnets. Our current selection features some of the best seller or most ordered promotional magnets which have helped nurses over the last few years to market their business. When it comes to other businesses, they only believe in occasional or seasonal marketing. However, with nursing services, there is no scope for seasonal marketing because a nurse is always working. 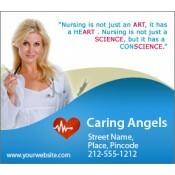 They can easily rely on these custom magnets to promote their services and increase their credibility. Personalized nurse magnets are perfect for tradeshows, medical camps, services or it can be offered in association of nurse’s organizations. Whatever be the reason and occasion, people are going to grab it with eagerness because a nurse is always an angel who helps them during the emergencies. 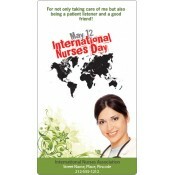 Free full color printing aids nurses to create impressive campaigns with minimum efforts. They can work with colorful visuals and as much colors as they wish without worrying about the piling up of set up charges. We offer free art setup, free online design proof and free ground UPS shipping anywhere within the contiguous USA. We offer the option to pay after art approval which means nurses can pay us after approving the online design proof which we send within 24 hours of ordering. We offer the best wholesale price in the industry! To know more about special pricing, customization and distribution of these healthcare magnets, feel free to approach us at 855-762-4638 or write to us at info@cmagnets.com.